We have returned back to our wonderful homeland Aoteoroa after an amazing time traveling and playing some music. We celebrated our singer's birthday at Oktoberfest in Munich, walked the amazing coastal villages of Cinque Terre in Italy then sang the night away in a little restaurant packed with locals and travellers dancing and singing along. From there, we all went our individual ways and enjoyed a little time away from performing spent with our partners travelling to some incredible and beautiful locations around Europe. Finally, we all met up in the UK to play some shows in aid of youth music UK. Youth music UK is a charity that works with children, teens and families across the UK providing music lessons, instruments and mentorship programs for those that might otherwise never have the opportunity. Through their work with music they generate some massive, positive changes for families in need. We played for them two years ago in the UK and we were honoured to be playing there again in support of such a great and relevant cause. Our shows in the UK were a blast! We loved the changing venues, the smiling faces and all the dancing, cheering and support we received along the way. We are proud to say we raised over one thousand pounds from the proceeds and we know they will be going to great use amongst local communities. We would like to thank Jacob Boston, Melainee Wooden, Kristie Grant, Charlie Billington, Georgina Bondfield, Ros and Charles Buckler all for their hospitality and help with the shows. We love you all! A very big and special thank you also to Cliff Bradley who played bass for us whilst in the UK. What an amazing musician and great guy....thank you!! As the winter months have been taking hold and the temperature dropping there really hasn't been much of a drop in gigs for us. It has been a month of big change. We have farewelled our long term double bassist and dear friend Dwayne with sadness and much nostalgia. Dwayne has been a solid foundation in the sound of White Chapel Jak and a solid foundation for hugs when needed! At the same time we have been welcoming our new double bassist Michael White. Michael was thrown straight into the deep end with his first two gigs within 3 days of meeting us for the first time. Michael has been amazing....man can he play a double bass!! It is with much excitement now that we look forward to the next stage of our musical journey with a new member that has bought a whole new energy to what we do. Below are a few moments from the past month. There has been a lot of Whanau time with birthdays for some of our family members both young and not so young! 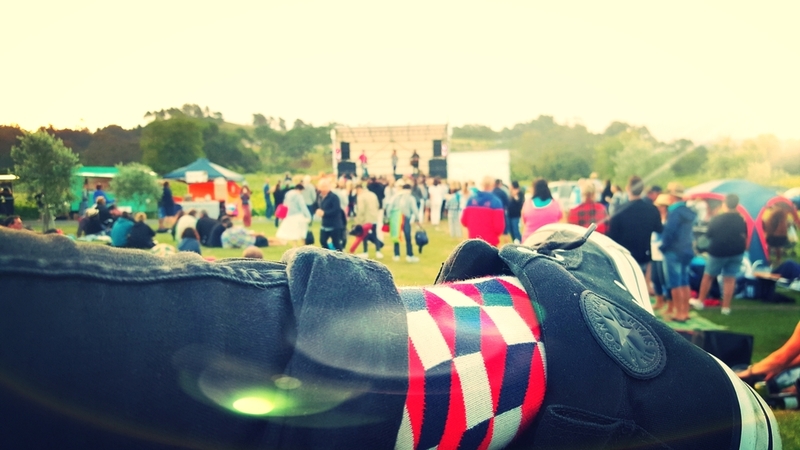 Reflecting on our summer of music. This summer has been our busiest yet. 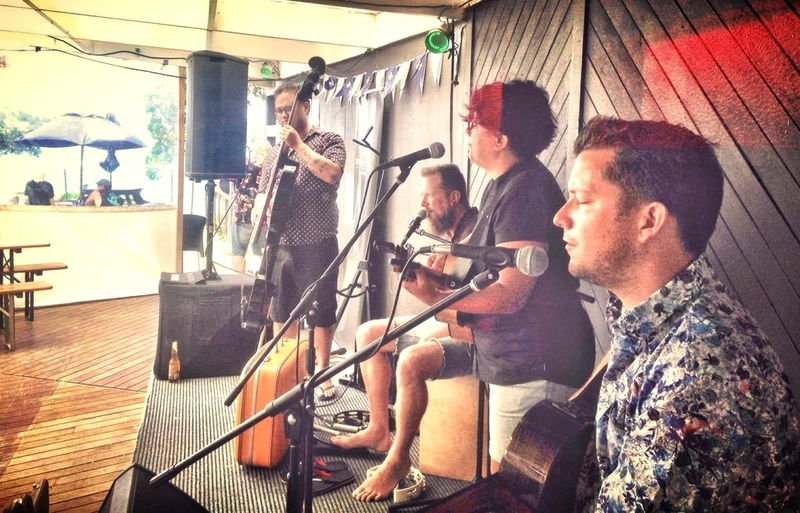 There has been numerous gigs every week across a number of different locations and venues around the country. Every where we have been we have been met by lovely, smiley people that really make this journey with music worthwhile for us. We thank each and every person that has enjoyed some music with us through the summer. As the dream of being full time musician's has become a reality for us more and more we appreciate the support of our audiences. When we are a little drained or perhaps the fingertips are a little sore as we hit the 5th gig for the weekend it is the energy from you, the listener that re invigorates us and sets alight the music once again. The delivery of a cold drink, a warm smile, a couple in love slow dancing in an intimate venue or a large crowd moving together....these are the moments that keep us coming back to gigs time after time. So we thank you for your support, your laughter and fun. You created all our wonderful moments this summer. Take a moment to scroll through the photo's below to share in just a snippet of where our music has taken us during our busiest months. Sometimes it is a stop for a rest when driving somewhere that reveals another stunning view. Sometimes a warm and inviting venue that we are playing in. Or it could be a back stage moment when everyone is feeling a little tired and silly. Each is a memory for us that we thank you for. Everyone was here at this function under the premise that they were celebrating a birthday together. What an incredible sight when the groom announced to their unsuspecting guests that a wedding was the real reason they were all together. Amazing watching how a room full of people come together in a moment like this. Just brilliant! So much excitement and love in the room after that announcement. A beautiful, relaxed ceremony with a lovely couple and their surprised friends and family! We feel lucky to be able to share these special moments in peoples' lives. This summer has certainly been the season of love for us. We have been privileged and honoured to share in the celebration of many beautiful weddings across a deliciously hot and sunny 'Kiwi summer.' Now that we are moving towards the cooler months of the year we figured it was a good time to share a few photo's of just a few of the gorgeous places we have travelled to and the wonderful celebrations we have been a part of. Take a moment to look through the photos here. We feel they are a celebration of not only the amazing weddings we see and people we meet but also a celebration of life, love and our stunning homeland Aoteroa. We treasure this place we are lucky to call home and the wonderful people that we all share it with. Well these wonderful people from New Caledonia certainly know how to throw a party!! A stunning house on Waiheke Island with a private beach looking over a beautiful sheltered bay, fresh homemade French preserves, pickles, meats, cheeses and breads, colds drinks, boutique ice-creams and a deck for us to play on with this view.....wow!! The welcome here for us was amazing. The dancing and singing started from the very first song and didn't stop all night. The passion for live music here was incredible and really made us feel special. Thank you so much to our wonderful hosts. We loved meeting you all and sharing the birthday celebrations and we sincerely hopeto see you again one day! Children are fantastic!! We love how they are totally free to express themselves and without fail it's always children that we see up dancing before anyone at gigs. Check out this artwork from one of our top young fans. What a great piece of work...we love it! Thanks Mitchel for the time you took to make this for us. Gourmet in the Gardens is a regular event in Hamilton that we would sincerely encourage anyone to check out. Set in the beautiful Hamilton Gardens overlooking the lake this event is free entry, family friendly with a bouncy castle area for the kids and also some of the finest gourmet food trucks selling some amazing dishes. On top of all of that there is also live music each week. Get along and check it out! Every Sunday through summer from 4-8pm. We had a blast playing here. So great to see so many out enjoying the weather and the delicious food and good ol' boogie along to our tunes. Thank you to the food vendors for looking after us with beautiful bites to eat during our break. Ponsonby road in Rotorua has definitely become one of our favourite places to play. The vibe here is warm, fun and inviting and the welcome we receive from the locals really is amazing. So cool to see people whom had remembered us from months ago making the effort to come back and see us again....and what a great party over two nights of playing with plenty of dancing, singing and fun. Special thank you to lovely local Paula who not only came in for both nights but even prepared the wonderful welcome you see below of home made sliders and a cold beer for when arrived for our second night of playing. What a special treat! Thank you!! 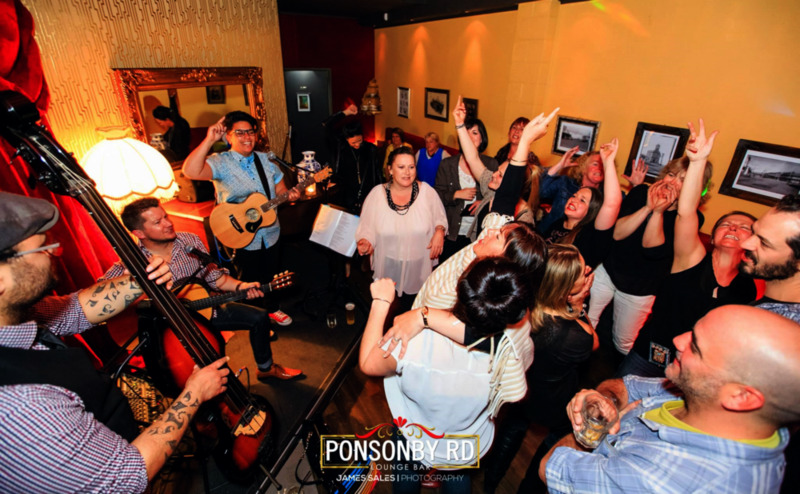 And thank you again to Popnsonby Road Bar in Rotorua...we will definitely see you again. Wow...the new Audi Q7's are stunning cars and we would have been happy to take one home after playing the launch of this new car in Auckland. Thanks Audi for having us along to be a part of your evening ... it was a new experience and a treat to play in this beautiful show room overlooking these fabulous cars. Get along to Giltrap Audi and have a chat to someone from their friendly sales team about all the features included in these amazing new vehicles.